I adore fashion and how they tie into crafting! On this Fashion Friday, you can see how this card was inspired by some stunning fashion. With an elegant pairing of neutral colors, accented by lace and crochet trim... you will wow whomever sees this classic hand-crafted card. Sending a hand-stamped, stylish birthday card that is sure to stand out from the crowd, join me and see how. 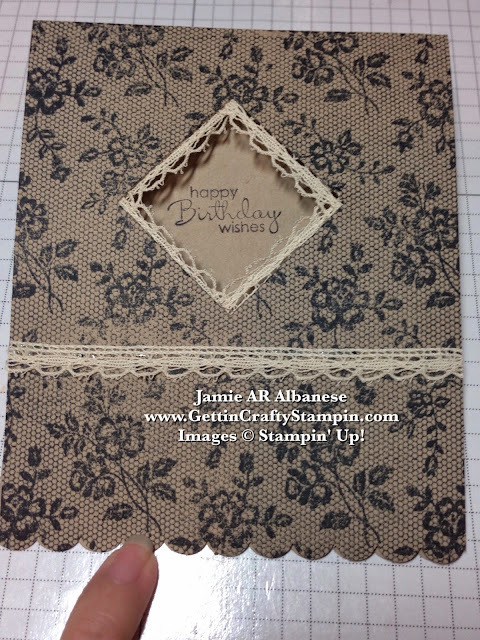 Using the I Love Lace background stamp with the Jet Black Stazon ink you can stamp the Crumb Cake card stock base. Stazon dries quickly so move quickly and this true black lace will delight. I love the look of black and Crumb Cake - don't you? Contemporary but classic, it's a stylish combination. Punch the edges of the card with the Scallop Edge Border Punch for a fun accent that mimics the stylish dress. Once stamped, use the Big Shot Die-Cutting Machine, Magnetic Platform and Squares Collection Framelits to create this cute window in the card. Here I used the second smallest of the Squares Collection Framelits. Do not toss out that lace square. Cut it at a diagonal to use inside of the card! I love this dress... how it could inspire a stylish hand-crafted birthday card! 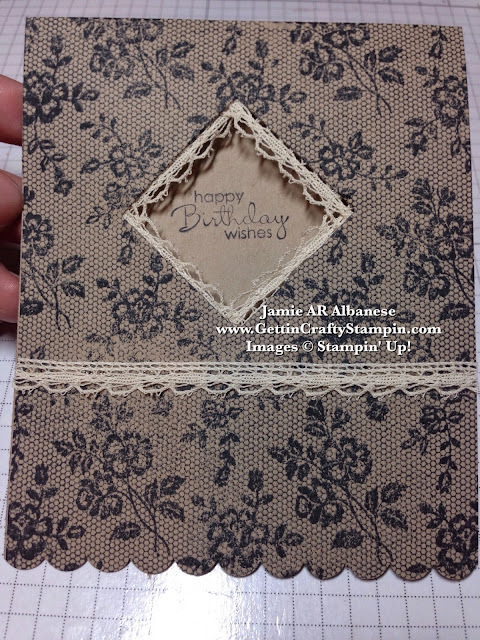 Adding the Venetian Crochet Trim to the inside of the card to frame the window is a fun and feminine accent. Using the Multipurpose Liquid Adhesive - it has two tips for glue application. The fine tip gives a precision line to adhere the lace accent. 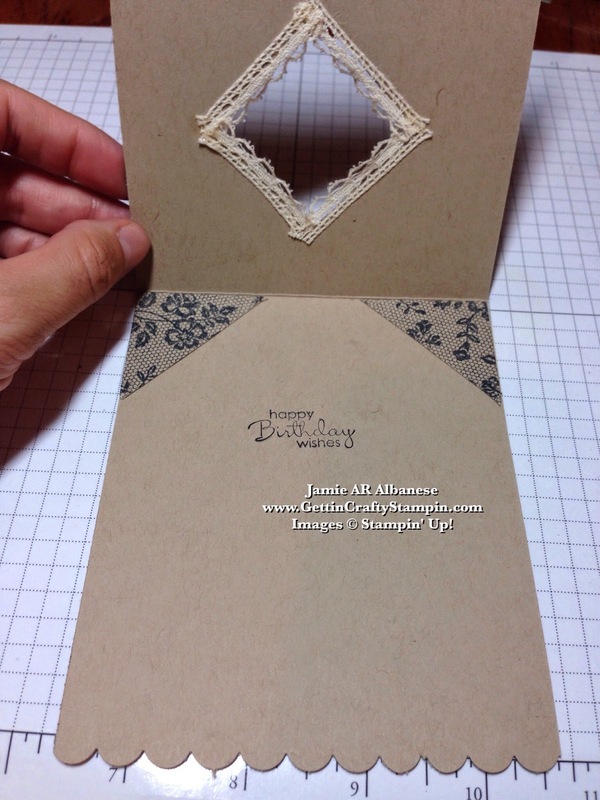 Frame the inside of the card with the die-cut lace square. 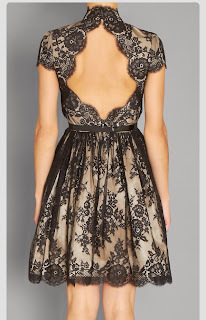 Creating a stylish card is easy when you find some fun inspiration like this elegant lace dress. 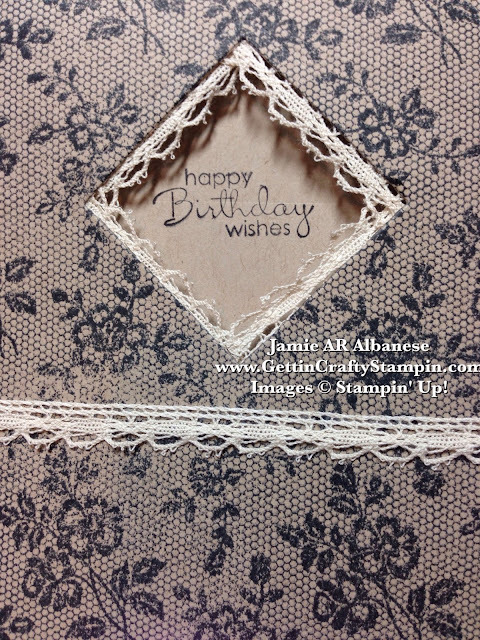 Sending a classic and pretty hand-stamped birthday card is fun when it looks like this! A classic hand-crafted card like this, much like it's fashion inspiration, will stand the test of time. 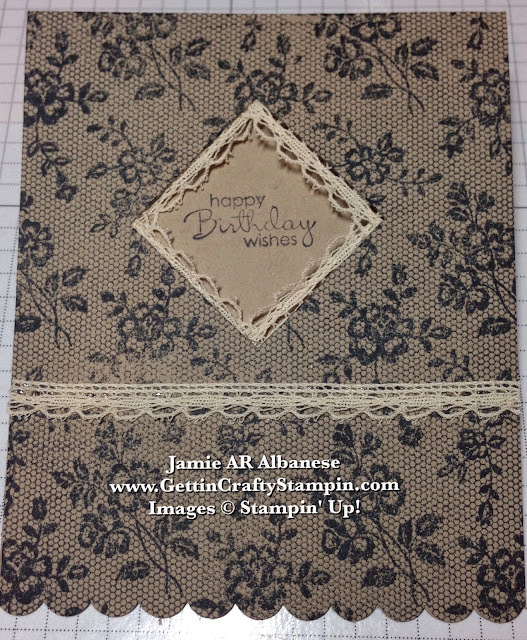 Making a big impact using the background stamp to change the look of this Crumb Cake card into a WOW card.